We hear a lot about drinking green tea, but have you ever wondered how and why it has become so popular for weight loss? Do you know about the other health benefits of green tea? How about what type is best for you? Make sure to read this article to learn all of the health benefits of green tea and why you should add it to your diet. Green tea is one of the healthiest and most widely-consumed beverages in the world. With zero calories and a wide variety of health benefits backed up by thousands of scientific studies, adding green tea to your diet is an excellent way to get a jump start on a healthier lifestyle. Below are some of the ways in which green tea can positively impact the human body. Green tea is a natural source of fluoride, and the other chemicals it contains have been shown to reduce the risk of gum disease, tooth decay, and even bad breath. Keep in mind that adding sweeteners such as honey or sugar may reduce or eliminate these benefits. In this sense, green tea can help with stronger healthier teeth! 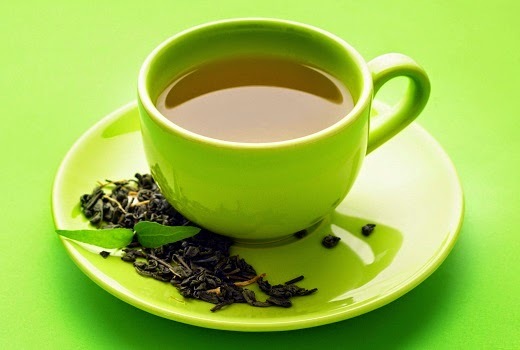 Green tea is rich in antioxidants which can help to prevent many forms of cancer. Studies have shown reduced rates of prostate, lung, breast, and stomach cancer. The chemicals in green tea can combat some carcinogens, cause cancerous cells to destroy themselves, and may also reduce the formation of tumorous growths. Green tea contributes heavily to a healthier heart by reducing LDL cholesterol, blood pressure, triglycerides, and harmful free radicals. The chemicals in green tea can also reduce inflammation and prevent cell damage related to cardiovascular disease. Drinking tea may also help the body recover more quickly following a heart attack. Green tea leads to improved blood flow to the brain, which can lower the risk of stroke. Tests have shown a link between green tea consumption and improved memory and problem-solving capacity. Finally, the antioxidants in green tea can potentially block the formation of plaques that can cause Alzheimer's Disease. The catechins found in green tea induce and prolong thermogenesis, which in turn results in the body burning more calories each day. Consistent green tea consumption has also been linked to higher natural rates of fat oxidation. And because green tea is calorie-free, substituting a cup of green tea for a can of soda each day would result in an average net weight loss of almost fifteen pounds each year. What Types Of Green Tea Are Best? Organic Green Tea is best and is fairly inexpensive in comparison to other organic products. Regardless pf price, it is healthier and as easy on the taste buds as the non-organic GMO brands - most say organic tastes better. When researching which brands, make sure not to buy green tea with additives in it ("natural flavoring", "soy lecithin", "high fructose corn syrup", "aspartame", etc - NO GOOD). Loose leaf is best, but there are some bagged and iced tea brands that are safe. Just keep in mind that "natural" does not always mean it's really natural by true by quality health standards.. The key is to make sure the tea you buy has the certified organic symbol or non-gmo guarantee that is for your country or states NON-GMO on the label and no additives. Here's a link to start you search for NON GMO TEAS - just remember to check the labels because NON GMO does not always mean pure tea, so check for additives before buying your green tea. Worried about the caffeine in Green Tea? So, green tea has at least 1/2 more caffeine than decaf coffee, but way less than a cup of coffee. Ask your doctor what he or she recommends if you have high blood pressure. It's just amazing how one simple drink is so good for your health ... JUST LIKE WATER!!! All in all, the health benefits associated with drinking green tea more than justify including it in your daily diet. The chemical compounds in green tea have a positive effect on nearly every part of the body, contributing to a longer, healthier, and happier life. Interested in learning more about the healthy drinks and food you should eat? Come join our weight loss support group at Facebook and follow my Skinny Fiber page, too!!! Hope that you enjoyed this post. Please make sure to share with friends!!! !